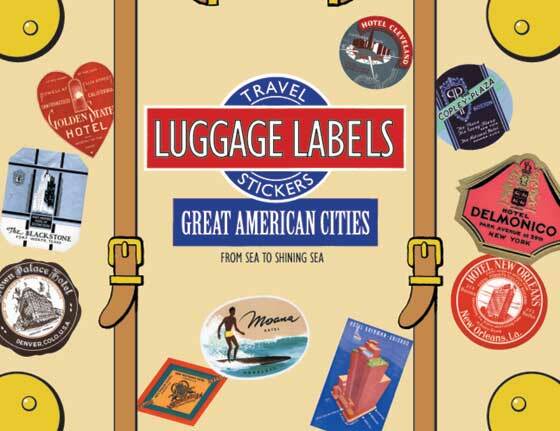 This box of 20 individual peel and stick luggage labels are suitable for scrapbooking, decoupage, gift wrapping and, of course the adornment of old trunks and luggage. Great American Cities is entirely devoted to U.S. cities - New York, San Francisco, Denver, Honolulu, Chicago, New Orleans, Boston, Cleveland, Seattle, Detroit, Los Angeles, Philadelphia, and so on. These are the cities to which one ventures to escape ordinariness and become somebody.